This week’s special episode is a follow up to our previous episode where Melissa shared her Life Between Lives (LBL) regression with hyponotherapist Nancy Canning. If you have not yet watched/listened to the previous episode, you might want to before watching/listening to this one (to gain the most). Find it in the show notes below. Melissa goes into more detail about her afterlife journey in this episode, and we answer questions like: Do we plan our life-threatening diseases before we’re born into this life? Are we really greeted by our loved ones when we cross over? Did Melissa not have a spirit guide? Why did Melissa seem to take key parts of her afterlife journey so “casually” during this LBL? And was the regressionist asking leading questions in this LBL regression? We really got some great questions from you, the audience — so thank you! Little inside info…Melissa’s photographs on this episode are from our mini-vacation to Acadia National Park and Bar Harbor, Maine. I must say it was one of the most beautiful and romantic long weekends we’ve had in 40 years. We had 70-degree weather in October. If you watch the photos on YouTube, you’ll see a crow that visited us on Cadillac Mountain and a sunset on that mountain that was breathtaking. Just watch each sunset photo in order and you’ll witness the sun going down. We also saw the sunrise one morning. Just imagine the sunset in reverse. 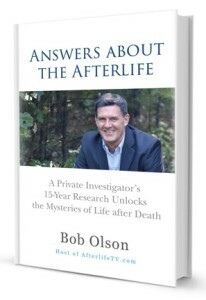 Bob: Hey everybody, Bob Olson here with Afterlife TV, you can find us at afterlifetv.com. This is where we talk about life after death and answer the meaningful questions you have around that subject. Today we’re gonna be talking about Melissa’s LBL session and that was the episode that you heard before this one. We’re pretty excited to answer some of your questions about that. 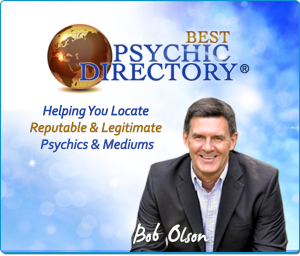 I wanna mention that we appreciate anyone who visits Best Psychic Directory, that’s our site where we have worked very hard over many years to put the most credible, most reputable psychics, and mediums, and tarot readers, and animal communicators, right there at bestpsychicdirectory.com. 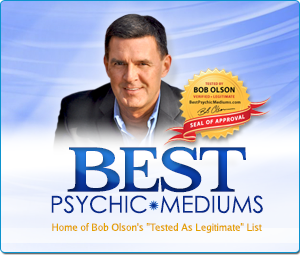 It’s a place where you can search by location, search by specialty, you can even get instant readings there. 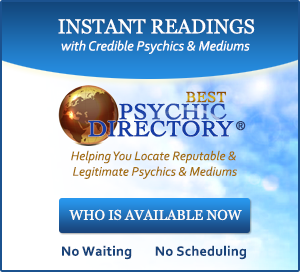 If you’re kinda like me and don’t like waiting for things just see who’s available today at bestpsychicdirectory.com. And finally I just wanna send out a little gratitude to those people who have left reviews for my two books since our last episode, you know, I genuinely feel gratitude for people who leave reviews there so that other people can find out that it’s a great book, and that maybe they should read it as well. What you say means so much more than anything that I say about it, so I’m gonna send out gratitude to Dagmar Knutson, Trisha Hein, Cindy, someone with the title “Your Highness,” that’s a good one, Lisa, and Katniss, those are all for “The Magic Mala.” And for “Answers About the Afterlife,” Larry C., M. Davis, and Carrie, and Sheryl Everwine were the last reviewers on there and gave us five-star reviews for “Answers About the Afterlife,” so thank you to all of you, really appreciate it. Now, I have Melissa here with me because this is a special episode based on the last episode, I hope you heard it. Thousands and thousands of people, about 20,000 people either heard or watched that episode and were fascinated by your session that you had and you so generously and courageously shared with us Melissa, so thank you so much for that. Melissa: Oh, it’s my pleasure. Bob: I shared a lot of the comments with you. Bob: it seemed very special to people. Melissa: Yeah and it was interesting how a lot of people, even including my mom, mentioned feeling like they were put into some sort of meditative state while they were listening to it. Bob: Yeah, we had a comment fairly recently, someone said their soul was soaring along with you. Melissa: Yeah, I liked that, that was kinda cool. Bob: Yeah, I liked that as well. So the questions that we have, we didn’t have that many questions. I’m gonna start off with the hardest one, you know, I’ll say what I have to say about it, and then you say what you have to say about it. This is from Judy. Judy is very familiar with these sessions. She’s read a lot of Michael Newton’s books, which is where the life between lives regressions started from. He’s the one who, we wanna call it, invented them and he’s written a few books. And I recommend that if you haven’t read his books, and you were really fascinated by Melissa’s session, then I would check out “Journey of Souls.” “Journey of Souls” by Michael Newton, that’s his first one, as far as I’m concerned his best one, and you can gain more of what you experience in that last episode. Judy says that she has a couple of comments. I was intrigued about the mentioning of cancer in that experience, and she explains that she’s an RN, and I have wondered whether or not the diseases and injuries we humans experienced during our lives were actually plans before we reincarnate. And of course, Melissa you said in that session that yours was something that was planned. Bob: So here’s the thing, and this is a great point for many reasons, the first one being, this is why it’s so important to not just either have one experience of your own and then just draw all your conclusions based on that one experience. Or listen to somebody else’s experience or a story, that they might have and base all your conclusions about that just based on that one thing. I say in the book, “Answers About the Afterlife,” when I’m talking about near-death experiences, we gain an awful lot from listening to people’s near-death experiences. But, people who have had one near-death experience does not automatically make them an expert on the afterlife. I think the analogy I make is it would be like going to Buffalo and saying you know everything about New York, or about the United States, because you went to Buffalo, right? Bob: So that’s a good point and the reason that’s especially important in this case is because Melissa has had a lot of experiences. Now one person refers, I think we’ll catch that later, but thinks that Melissa might have had a lot of these experiences. That was your first one, right? Bob: And so it’s not as though she’s had a lot of these, but Melissa’s had a lot of different experiences. And certainly we work together, and so she picks up and gains a lot just because of the work that we do. Melissa: And I never was a skeptic, so I’m not… I never had that working against me, so I’ve always been very open. Bob: Cement. All right, cement. It did, it made things a little more difficult, a little slower, but certainly, it was a great experience for me. I’m glad that I pushed my way through that. Bob: It didn’t mean that she was definitely gonna have that cancer, didn’t mean she was definitely going to, you know, get cancer. Nothing’s ever definite, there’s things that are taking place, decisions that are taking place every moment that we go along, and that works in two ways, we have free will. Bob: And so, because our free will exists, our choices are going to send us in different trajectories, but also, our souls have free will, and our souls also get to make things up as we’re going along. And what I mean by that, I’ll use the example of someone’s point of death, right? Let’s just say someone’s predestined, we’ll call it that, and this is a great way of looking at it because it’s like, okay, this is a potential, right? The potential is that this person is going to die fairly young, a young adult, that doesn’t mean that their soul knows that on October 20 something at 10:00, that person is gonna die. It doesn’t work that way. What happens is as long as the spirit within that body has had certain experiences, and done what it came here to do, or didn’t and there was no way it was gonna happen, then they know, “Okay, it’s time for that person to leave,” and part of what that person meaning any one of us, right? We’re connected to our soul, it’s just our higher selves, it’s not different, it’s not separate from us. It’s just connected to ourselves. So what we planned when we came into this life, let’s say, we’ve accomplished that and one of the things we planned was to die as a young adult, that was gonna be part of the experience, something that we may never have done before, doesn’t have that experience before. Well, then our soul looks for opportunities for us to make our exit. And that might be, you know, some kind of an accident, could be a car accident, plane accident. Melissa: Well, it’s all sorts of things. Bob: They didn’t get in the car. Melissa: Right, wait a minute. Bob: Darn it. And so then they have to look for the next opportunity, so that’s kind of how that works. Well, I look at all of this, especially when you’re talking about things like illnesses like cancer, whether you get cancer or not. If that was an experience that you, as a soul, decided you wanted to have. Bob: And I know that’s gonna throw some people for a loop, “Why would I ever want to have cancer,” right? It’s an experience, all right, and we come here to have experiences. We call that a potential, and so we’re born with this potential of something happening. Now in the book, I talk about suicide, and I talk about I talk about my own experience of having come into this lifetime with the potential of taking my own life. And how did I know that? I know that because when I went through a depression in the ’90s, late ’80s, early ’90s, I had suicidal thoughts, they call it “suicidal ideation,” and my first thoughts would focus on suicide. Well that meant I could have taken my own life, but what we know about people and when I… because I went through that experience, it was something that I really focused on a lot in my lifetime. I recognize that there are some people who would never ever, their thoughts would never go there. They would never think about taking their own life. Bob: And you happen to be one of those people. Like, the last thing that you would ever consider. And so, the conclusion that I drew after many years and investigating the afterlife, I recognized that suicide is one of those potentials. So, we come into the life, suicide is one of the many potentials. Now, here’s what I write about in the book. Hopefully, it’ll add some information as to what I mean by potentials. What’s important to realize is that no one dies by suicide if suicide is not a potential for that spirit’s experience. There are some people who simply would never consider taking their own life. It’s not in their nature, it’s not in their genetic makeup, it’s not a potential for their human experience. So, for those who are wired in such a way that suicide is a temptation, it is only because suicide was something their soul chose as a potential for their life. So, if we came into this life with the potential of taking our own life, that also means that our friends and relatives came into this life with the potential that they might experience losing a loved one due to suicide, okay? And I think that’s an important point, of course, that’s why I wrote it, but it’s why I’m saying it as well. These people knew before they were born that this might be a potential for them as a human being, and they chose this as a possibility because it was it was an experience that would benefit them as eternal spiritual beings. That is, it was an experience they were willing to know because it would teach them about compassion, love, and respect for the human experience by knowing loss, grief, helplessness, and hopefully, at some point surrender acceptance and forgiveness. Anybody who’s dealt with the loss of a loved one where the person has taken their own life knows what we’re talking about here. That is a very difficult experience to go through, right? So, when Judy asks this question about you saying that you knew cancer was something that you planned for this life, and then you were diagnosed with it, and you went through that experience and you’re okay now. And, you know, some people asked about that and yes, you’re okay. Melissa: Yes, I’m okay now. And, you know, when you were reading, I realized that it doesn’t have to be just about your higher self or the soul’s experience of that particular thing. Because I reflect back on my diagnosis and my journey and I definitely gained from it as a human being. Not just my soul, not just my spirit, not just my higher self, but Melissa. I gained so much from that and I’m living in a different way now. Bob: That’s right. And interesting when you write stories, of course, I’m very meshed in screenwriting right now. But, you know, this is kind of what they talk about, the arc, you know, the arc of the character, the changes that a character makes over the course of a story, a movie, and a book. That’s just because it’s real life, this is what real life is. And you hope that the character makes a change. Know that just sometimes a change can be bad, but usually, the change ends up being for the better, we call that growth. In your case, it was. Now there’s going to be a lot of people who can go, “Well, you know, my friend died from cancer so that’s a different experience.” And I think if you had the opportunity to talk to a lot of these people, they would say that they too gained from it. And especially if you are able to talk to them through a medium or, you know, through a dream visitation or something like that, those people in spirit they will tell you that. We hear that all the time. Melissa: Right. And I do think it’s important to remember that we are viewing their death as being a negative thing for them. And that’s just our human perception of death, it’s not actually the soul’s perception death. So, I think when we’re saying those kinds of things, we have to always remind ourselves, “Oh yeah, I’m a human being and of course death feels like a negative thing to me because I’m here, I’m flesh and bone and then I’m not…or they’re not.” But for the soul’s experience, it’s not that way. That’s my understanding, that’s what I believe. Bob: Well, and one of the things I think that I’ve been talking about in prior shows, especially since we’ve been doing on audio only, I’ve been talking a little bit more in depth than when I was just interviewing people and hearing about their experiences and stuff. And one of the things I know I’ve talked about is that the soul continues the experience, or I should say really the spirit, we’re all connected but the spirit that is within that body then goes into the spirit world and the human experience does not end there. I think it was a fairly recent episode that we had that I talked about this. So it’s not as though… let’s say you don’t have any more chance to grow from the things that took place, including this one subject of taking your own life. Now, the person is in the spirit world, and they get to witness, in real time, how that affected everybody else and how their life affected everyone else. And any of you who listen to these shows will recognize me talking about that, the ripple effect that we have, and when we’re in spirit, when we’re on the other side, [inaudible 00:15:35] we choose to say the higher side of life. That’s one of the things that we gain that we sometimes are not able to gain while we’re here is how did our choices and actions affect the world? So that was a great question Judy, the next one is from Lupe. Lupe says Melissa never mentioned family, or at least seeing someone familiar to greet her or him upon passing, meaning Jesse. But only darkness you saw, you talked about the darkness, and that left me feeling that you don’t see them when you die. So again, I’m just gonna go back to this is why you don’t listen to one person’s story, you know, or have one experience of your own and draw conclusions based on that. 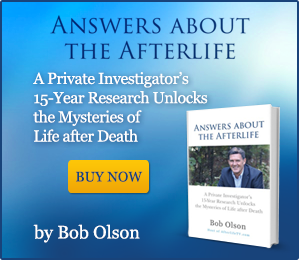 That’s why I wrote the book after 15 years experience, the “Answers About the Afterlife.” I’ve now had nearly 19, generally, it would be 19 years of experience investigating the afterlife and I still learn things by comparing and contrasting all the different experiences that I have had and experiences that other people have had. You put them all together, and what I have found is that they don’t contradict with each other. They don’t. They actually work in alignment with one another, but you’ll see that things overlap. So what one experience you might have missed out on, you see, well, another experience fills in the holes for that. And an example here was, because of where you are in your life, because you already knew that when we cross over, that our loved ones greet us, that was not something that you needed to learn in your life between lives regression here. You did kinda just brush by that, and so anybody listening to this who maybe still wants to know if their loved one is gonna greet them when they cross over, you know, they have loved ones who have deceased, are they gonna be there when I die? Yes, they are. And Melissa didn’t say they didn’t, she actually said…I remember you saying there was…you knew there were other beings there but they just weren’t identifying themselves. Bob: And the reason they weren’t identifying themselves, we don’t really know, rather than this experience only goes on so long. Melissa: Well two things. One I was Jesse, I was experiencing being in Jesse land. Melissa: And I was interpreting it from obviously his perspective that sort of merged with my perspective as my soul. And I think that, yes, I think what you were saying about how it wasn’t a necessary thing, it wasn’t an important thing for me to experience in this experience. And my soul is aware of that, so I didn’t have the need. And it’s sort of like, I think of it when my dad passed a couple years ago, I didn’t feel the need to go see a medium. I just didn’t, it wasn’t something I trusted that I had a direct line of communication with him and that he’d show up for me if I needed him to and I could utilize that. So I didn’t feel the need to go to somebody else to make that connection, I trusted it. So I do think that that did impress in the regression. Bob: It did. It came through and it was evident that that wasn’t something that you needed to have. You knew it, it was a knowing, and our audience knows what that means. The other thing is, Lupe, she tells me in this email that she’s very religious, she’s Catholic, she is strong a Catholic and so she has these beliefs. And I have to always keep reminding people that when you and I are having these experiences, we’re doing it for the purposes of having the experiences outside of religion. It’s about evidence, you know, so I’m investigating the afterlife, life after death, and just seeing what evidence exist and drawing conclusions based on that, not drawing conclusions based on my Catholic upbringing. Melissa: Yeah, it’s not filtered through. You’re not making your conclusions filtered through that foundation. Melissa: Right, and I was seeing beans… Beings, not beans. I was seeing beings and who is to say that some of those beings were not some of my family members as Jesse? Bob: Yeah, that’s right. All right let’s go on to Annalise. Annalise had a great question, she actually kinda had two. One leads into a question that Ray had. So the first question is “Nancy asked Melissa if she had a spirit guide. She thought Melissa said that you were not aware of one. But when Nancy pursued it, it sounded like you said that the spirit was a collective that seemed like an individual.” Let’s just clear that up. I know a lot of people were a little confused by that whole thing. Let me tell you the way I heard it and you can tell me if this is what you perceive, Melissa. So Nancy was asking about a spirit guide. I think the first instance of Nancy asking that question, “Are you aware of any spirit guides around you,” was, because you weren’t experiencing them the way you would have thought you would experience a spirit guide, so your first answer was no. Bob: And then she pursues it, and this is what happens. If you’ve ever had this experience, you know what’s going on. If you haven’t, let me try to explain it. So you’re having this experience and honestly, if Nancy didn’t continue asking questions, you would kind of just be. You could be there for hours. Bob: And you wouldn’t really move forward or backward or you might not learn anything. But you’re in this amazing experience, you know, like one of the best meditations you’ll ever have experienced. But you do move forward and it’s valuable and this is why the facilitator, the regression, is so important. So she pursues it because she’s done a thousand of these and usually there’s a spirit guide there, so she’s confused. I think what you’re doing is you were expecting a person, a person-like being. Bob: You weren’t aware of a person-like being. Melissa: No, I was only aware of multiple beings. Bob. At first. That’s the way you describe it. But then you explained that it’s not even really like a being, it’s more like an energy. And then you add, and this is one of my favorite parts of the whole experience, you add an energy with purpose. Bob: Anything to add to that? Because I thought that was brilliant. Melissa: Well it’s just what came to me when I was describing the energy that I was feeling, that there was an energy there but the energy had intent, you know, it had a purpose. It was there for me in that experience so that I could gain from the experience that I was having. Bob: And I love the phrase that, you know, people will have different phrases for God, source. And I love creative intelligence because, to me, that really describes a little better. I don’t know that you were experiencing creative intelligence. Maybe you were, meaning source, but you were experiencing a greater intelligence that you recognized as energy with purpose. Bob: If people didn’t pick up on it, I’m glad that we at least emphasized it thanks to Annalise’s question because I thought that was a really important part of the whole session. Now I’m going to come back to Annalise in a second, but Ray then asks, “Why do you think Melissa had a problem…” This is in relation to this. Just, you know, it’s his wording, “Why do you think Melissa had a problem in being more specific about spirit guides but instead calling the help ‘energy’?” So, first of all, you didn’t have a problem, you were being specific. Like it wasn’t a problem, it was you wanting to be very specific. Melissa: I was trying to find the answer to the question that Nancy asked me, and I was trying to best describe it. It’s sort of like when someone says, “See that person over there? Describe them.” And then you’re standing there and you’re thinking, “Okay, well they have blond hair and they…” Like you’re thinking about how to describe them, and then you describe them. And everything is slowed down. When you’re in that mode, when you are having this experience, everything is slowed down. I mean, we live in such a fast, fast, world and I can tell you that it just comes to a screeching slow, slow, slow. I even was aware that I was answering slowly. So I think that trying to find the words is not really what I was doing, I was taking in the question, I was observing and then I was answering. Bob: You and I have talked about this and we’ve had this same experience. One of the things is, if it seems to anyone, like, you were being either vague or reluctant, someone used the word reluctant, it was Ray in an earlier question that I’ll mention. Melissa: It’s so interesting, the interpretations. Bob: Well, I’ll just read it because it’s related. “It seemed Melissa used the term hangout to mean a lot of things. She seems to take thing so casually.” I love this, Ray. No, this is good. This is great this is a good question, Ray. “I guess that can be expected, as she has probably gone through the process many times.” I referred to this. No, she has not, Ray. “For example hanging out including learning from her current life experiences…” this is great right, “…planning her next life, and selecting learning everything about the next. I think the regressionist tried to draw out more but couldn’t seem to. Do you think there was some reason for this reluctance to explain some of these things in more detail?” I said at the beginning of that session, in the intro before I played your session, I explained to people that when I went through this, I was annoyed by the questions because I wanted to experience what I was experiencing. And every time Nancy would ask me a question or anybody else who I’ve done this with, you know, it was kind of like watching television or reading a book and someone keeps talking to you. Melissa: Yeah. Well, it’s pulling your attention away from what you want to focus on. I was in bliss land but I was also aware that I was doing this for a purpose. I wasn’t so unaware but I was in my bliss mode when I was the answering questions. Bob: Yeah, and me too. And that’s a great way of describing it. And so I never felt like really answering them. So my reluctance, what Ray would call reluctance if he heard me, my tape, my reluctance was just to give her the minimal answer so I can just go on experiencing that bliss and then she’ll leave me alone. Of course, she doesn’t. She asks you more questions. Melissa: You know the other thing I just want to add too, we live in a very fast pace and we also live in a lot of stuff. There’s a lot of stuff around us, there’s a lot of detail around us. My experience having that experience was that when one is in the spirit realm that there isn’t all that stuff and there isn’t details. It’s a very small simplified stripped down experience, I think, in particular, when you’re being brought through one of those experiences because that’s that’s the way it should be. Because that’s how you draw out the important stuff. If there was a lot of details and a lot of stuff in my vision, I might not have been able to pull out the gems from the experience. Bob: One great example of that was when I was in front of the elders. And I’m not sure but I understood the name that you were giving. Elders, like, you know, people who are older, they’re higher up and we call them “elders” and I think and think they come through giving people that phrase a lot. I also know that other than some people call them other words, okay? And the word doesn’t matter. What matters is that, based on what you were just saying about the simplicity, the communication with any beings that you come across is telepathic. It’s also completely honest, authentic, and there’s such a simplicity in that. Like when you were trying to describe, you know, she’s asking about spirit guides you’re trying to describe that, you’re trying to get to the very essence of it. Whereas a person you would go, “Yeah, they have blond hair and they’re wearing this shirt.” And we describe all those details we really don’t need to. They’re beings of light and we’re just describing their very essence. Melissa: Yes, and that’s exactly…that’s how I would describe it too. It’s the light, there’s light within the darkness so it’s not like pitch black like if you’re in a pitch black room. It’s not like that, you can see around you. So it would be kind of like being in a room where the moonlight is coming through the windows, it’s kind of like that. Melissa: Right. 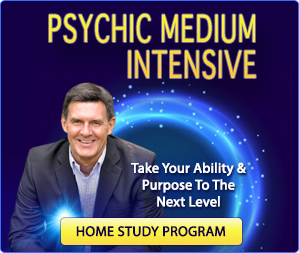 And I would encourage anybody who hasn’t listened or watched your previous shows where you’re interviewing people with near-death experience, you can learn so much and you will also have the opportunity to see that it varies from person to person too. I trust that when a person is going…when anybody is going through a death experience, I trust that everything is gonna be provided for them that they need, as the human beings that they are, around their fears. In other words, if you’re the type of person who’s terrified of being alone when you die and you want your family members to be there when you pass, they’re gonna show up. They’re gonna be there. It’s not like it’s a rule in the spirit world that, you know, every family member lines up when a person passes away, that’s not necessarily the case. I think your soul knows what it needs in that dying experience to happen to comfort you, and so that’s the experience that you have. Bob: Some people don’t want their family members to show up. Bob: So if they hear, “Oh, your family members always show up,” they might freak out because of that. So because everybody’s an individual… Luckily, our soul and our loved ones in spirit, our guides, even, know what it is that we need. And I always think of our soul as one of our guides, you know, it’s just our higher self, right? Melissa: Of me being in bliss land. Bob: Yeah, that some people were gonna think this. So some people think that Nancy was leading Melissa with her questions. Two reasons why that wasn’t the case, so one being that a lot of these experiences are similar. They’re not exactly the same but a lot of them are similar. So Nancy goes through them and she kinda knows what to expect as the twelfth hundredth…I can’t even say that, twelfth hundredth…that’s a hard thing to say. Melissa: How about if you just make it 500? Bob: That’s right. Whatever, you know, you’ve had a lot of them. You’ve got over 1,000 that you’ve sat through and you kind of know what to expect when you’re going through your next one. The second reason, that she knows what’s going on is that she is intuitive. When I say intuitive, she’s intuitive like a clairvoyant and she’s watching this scene with you. We could stop and she could tell me the answer to the questions. So she’s asking the questions even though most of the time she already knows what the answer is, but she wants you to tell her. And for people who have not had this experience, it would be very easy and I would have been one of them at one time to think that she was leading. Melissa: Yeah, and it’s possible that some of those times when she was digging with me, you know, if she was digging for something, she was trying to prompt something that she was picking up, but I just wasn’t picking it up. Bob: That’s right. So with that said, I just wanna let people know, you know, I listened to this episode actually a few times, because I enjoyed Melissa’s session so much and one of the things that I recognized, and if you have loved ones who have done this or even, you know, friends would be loved ones who have had this kind of an experience, and you listened to their tapes, their recordings, you too would recognize that they’re using words and phrases and they’re saying things in such a way that it doesn’t really sound like them. It kinda does you know it’s them, but you go, “You know what? She’s never really used that phrase before.” Energy with purpose, you’ve never…I don’t know if you’ve ever said that in your life. Bob: Just as an example. And I caught these things like every time I listen. Sort of, like, wow, that’s just…I don’t know where you pulled that out of. I do, but you didn’t pull it out of your intellect, which is what I’m trying to say. Bob: And so when you know that as a knowing, then someone asks this question and you go, “Oh, yeah.” She wasn’t doing it for her, she wasn’t asking these questions or prying for something for her sake. She was prying for your sake because she knew it was gonna be recorded. And years later, because you did this a few years ago, years later you would listen to it and gain something from it. And now, over 20,000 people have listened to it and gained from it as well. Melissa: Yeah, and that’s great. Bob: So thank you, everybody, so much for listening. Melissa: Yeah, thank you I hope we answered your questions. Bob: Yeah. And when one person has a question, then usually there’s a lot of other people have that same question or a similar question. Melissa: And I just wanna leave with people, if you were listening or even if you go back and listen to it again, pay attention to what prompts fears in you about it and take that little particular thing and think about it in your own life, “Do I have fears around this in my life on a regular basis and what do they where do they stem from?” And, you know, then maybe you can get to the bottom of it and not have that fear anymore. Melissa: So a little homework. Everybody loves homework. Bob: That’s right, yeah. Great word. Thank you so much for listening, joining us today. Melissa: And thanks, everybody, for your questions. Bob: All right. Bye now.